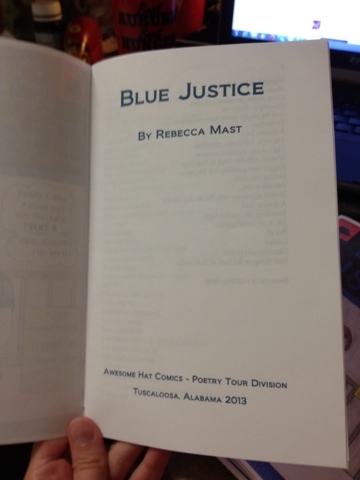 Rebecca Mast: The Chapbooks Are Finished! 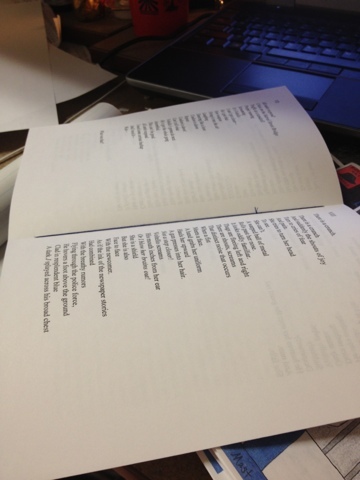 Yes- at long last, the chapbooks are done, and it is a wonderful feeling. Not only are they done- they're awesome. They're bound together with string at the spines. I used a needle and thread to do it- that's dedication, right there. My only real regret is that I couldn't get the cover to cover the entire cover page. And don't think that I didn't try. I tried every button I could see and printed every which way and researched everything and did all I could do. It's just a combination of Microsoft Word not being Adobe InDesign and my printer not being a professional printer, I think. But I care very little about it at this point. I'm very proud that I figured out how to get the document to print like a booklet, with the pages matching and front-and-back and all that. 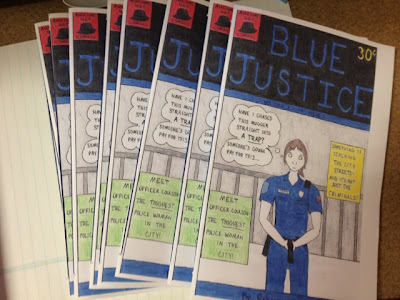 I used the "book fold" setting in the page layout area and printed it on both sides with it flipping on the short side. Worked like a dream. Folding and binding were different stories. But now it's done! And now that that's done, I can finally focus on studying for my American Lit final, which is going to be exponentially harder.